Most people nearing retirement age believe they have a plan set up for their retirement, but very few people have really run that plan through a “time-test” to see if the results match up with their lifelong dreams. Such a close look may be critical—without it, how can you really be sure? Having a sound personalized retirement income analysis is essential to realizing your dream retirement. With our retirement income analysis—you can take a closer look at some of your thoughts, assumptions and figures you've accumulated about retirement, and put them all together in an analysis to see if your strategy will hold up. Contact us today for a complimentary retirement income analysis! 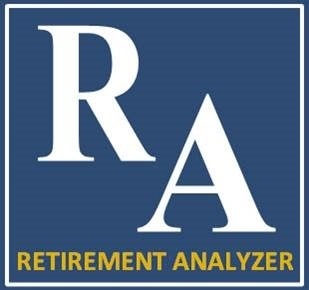 Retirement Analyzer is a software program by Thomas Gold Solutions that is designed to help agents review the effectiveness and potential success of your retirement strategy. Retirement Analyzer is not a comprehensive financial plan, nor is it a comprehensive overview of all your portfolio holdings.